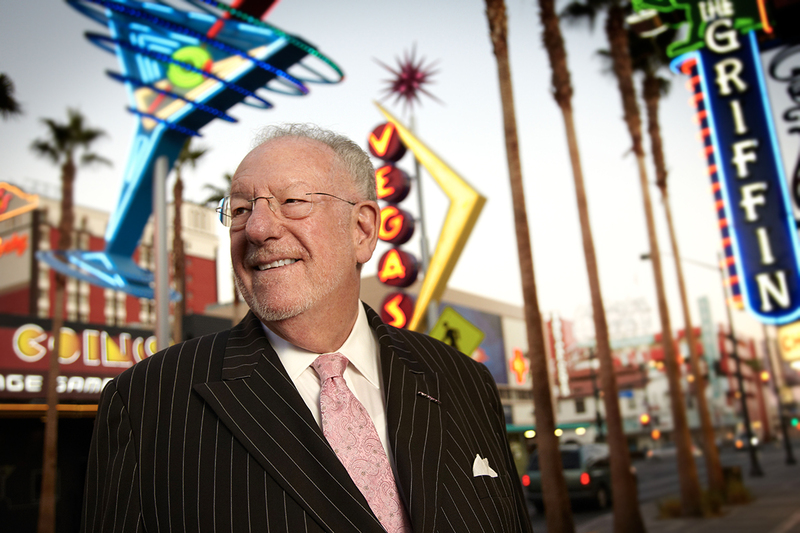 With trademark martini in hand, Oscar Goodman recently sat down with Luxury Estates International (LEI) for an exclusive interview at his namesake restaurant inside the Plaza Hotel and Casino in Downtown Las Vegas. The conversation at Oscar’s Steakhouse covered plenty of ground, from Goodman’s days as a criminal defense lawyer to serving three terms as Las Vegas Mayor and his current role today representing the city as Host Committee Chairman for the LVCVA. Though he’s worn many hats over the years, one thing is clear: his love and passion for the Las Vegas community are second to none. 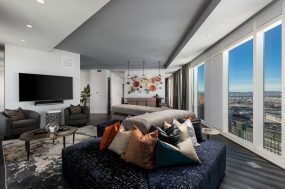 Goodman spoke on why Californians benefit by relocating to Las Vegas, the appeal of Vegas’ historic neighborhoods and the most unexpected neighbors he ever met in town. Along the way, he also explained why he wears the term “former mob lawyer” as a “badge of pride” and revealed his thoughts on why Las Vegas could welcome yet another major league sports franchise. 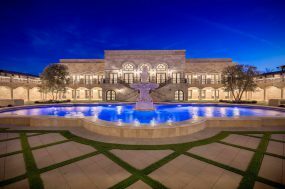 Read more about Oscar Goodman and his love for Las Vegas in the latest seasonal publication from Luxury Estates International. 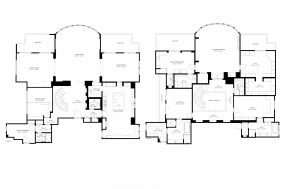 The new issue showcases the most luxurious properties in Las Vegas, from lavish estates to towering high-rises, along with features and interviews with some of the most fascinating and accomplished people in the community. In addition to Oscar Goodman, the new issue includes stories with Summerlin President Kevin Orrock, Steve and Bart Jones of Merlin Contracting and much more! 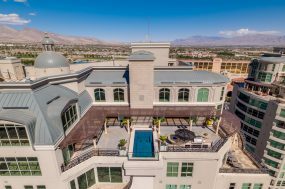 Open the pages of the new magazine today and see how Luxury Estates International is continuing to enjoy record-breaking success while expanding its unique relationship with the Las Vegas market.